Have you ever seen one of those cheesy photos of a couple leaning over with their arms around each other, looking at a bank statement with big smiles on their faces? Yeah, those are stock photos. They aren’t real. Unfortunately, for many married couples, the thought of money and finances brings up quite the opposite reaction. In the early years of our marriage, we simply avoided the topic. Denial seemed like a pretty good solution until we woke up $54,500 in debt with our first baby on the way. How does money impact your marriage? Does it create tension, stress, arguments and maybe even some dishonesty? 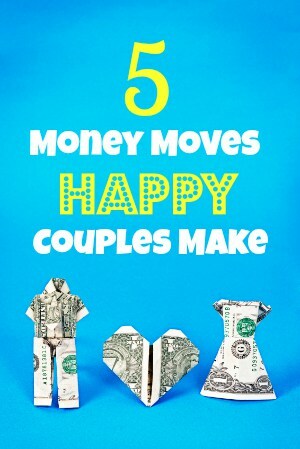 I hope that’s not the case, but the good news is that money doesn’t have to be a strain on your relationship. Believe it or not, money can (and should) create happiness in your marriage when you handle it right. Not creepy stock-photo happy, but coming together around your finances to achieve your dreams can actually be an awesome way to express your love and enthusiasm for your future together. Just don’t smile at your bank statements…who has printed bank statements anymore anyhow? It’s easier than you think to change the conversation around money with your spouse. And if there is no conversation, that’s probably a good place to start. Check out these 5 moves that are proven to bring happiness to couples who make them happen. What are your dreams as a family? What will it take financially to make it happen? This is where a plan becomes essential. It doesn’t require anything fancy, but it does require a good, open dialogue about what you actually want out of life and a goal-oriented game plan for how to take action to achieve the dreams you share. In our case, it was a “money date” and a lot of conversation that helped us realize we both wanted deeply for Bethany to be a stay-at-home Mom for our kids. Once we set that as a big goal, we were able to plan a path forward to make it a reality. If the “B-word” makes you cringe or throw up in your mouth a little, have no fear. A budget (you can call it a family spending plan if you’d like) can actually be really simple and still be effective. There are also lots of great tools to help you get going painlessly. But the bottom line is you do need to get your income and spending down on paper so you can get real about your cash flow and where you’d like to direct it. I know this one falls squarely in the “easier said than done” category, but it’s going to be easier than you think once you get going with a motivating plan (#1) and a simple budget (#2). As freaked out as we were to realize how deep we had gotten into debt, we were also really pumped up to get it paid down so we could realize our new-found goals. And it truly made us happy (freakin’ ecstatic really) to kill debts as fast as possible and celebrate when we met that monster goal of debt freedom! This is probably an area you’ll need more specific help with – more on that in a minute. I know investing isn’t exactly the sexiest topic, but it’s extremely important to your long-term success and happiness. If you don’t already know why Albert Einstein called compound interest the most powerful force in the universe, you should look it up for some great motivation to start investing as soon as possible. It’s never too late and never early enough to start putting some money into high-quality investments that will bring you peace of mind for all of those decades of awesome married life that’s ahead of you. Like so many important things, the key to successfully managing money in your marriage is good communication. The happiest couples have an open and ongoing dialogue about their income, spending, saving, investing and their goals. This very likely won’t come naturally, so it’s important to have regular “money dates” where you spend some time chatting about money…and more time drinking wine and enjoying the financial peace in your relationship! 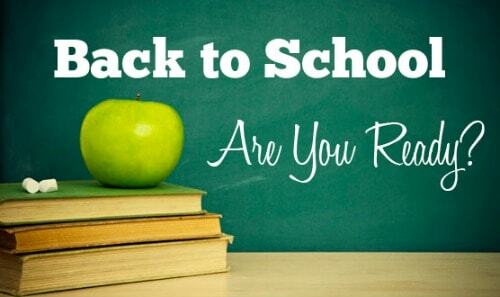 Are You Ready to Take the Next Step with Your Money & Your Honey? These 5 steps are pretty simple on the surface, but of course implementing them can be a challenge. Lucky for you, we’ve got you covered. We walk you through these 5 key money moves and showing you exactly how to make them happen in your marriage. …from trouble getting started (or staying on track) to a reluctant spouse. And we’re giving you all the cool tools you need to make it as easy as possible! Click Here to Start Your Money Makeover! When you first fall in love, happiness comes easy and it seems so effortless to be a good partner. Your jokes are funny, your thoughts and actions are romantic, and your time together is pretty much all rainbows and butterflies. It turns out that there’s a good reason for this—a scientific one at that. Your first few months or even years together are shrouded in a chemical cloud of infatuation. You’re literally high on each other and the lovin’ comes easy. So what happens a few years down the road after you’ve decided to get married and settle down together? Well, the chemical boost fades and you’re left with the choice to love your spouse. This is the part of marriage that sometimes freaks a couple out. chemistry to make it work on autopilot. It’s time for you to step up and practice having the marriage you desire. Like learning to play the guitar or run a marathon, an awesome marriage is the result of practice. You can have a mediocre relationship without a lot of effort, but the dream marriage you envisioned during your engagement is going to require some good old fashioned hard work. So, what sort of things do you need to learn and refine to enjoy a thriving marriage? Based on our own experience and the wisdom gained from working with dozens of other couples, here are three simple steps I’d recommend practicing to keep the passion alive. As your relationship matures, and especially when children enter the picture, it’s frighteningly easy to lose your connection as a couple. Your roles as a parent, caregiver, breadwinner, housekeeper, etc. can be so overwhelming that you never give the time or energy needed to be a great spouse. I recommend every couple spend at least 15 minutes each day simply being a couple. This is sacred time to enjoy each other and put aside those other roles for a while. Sit, talk, laugh and be together—simple as that. Do you remember when you were dating? When you’re dating, you don’t need “date nights” because every time you get together it’s all about getting to know each other better and building your relationship. That’s not the case when you’ve been married for a while. You’re together all the time, which makes it exceedingly easy to get complacent and fail to feed the romantic side of your relationship. Be sure to schedule a date night every week or two to spend some special time together and rekindle the intimacy between you. While it’s great to get out of the house for a big night out, this can be as simple as a lunch date or an evening at home together after the kids are in bed. 3. TREAT MARRIAGE LIKE AN INVESTMENT PORTFOLIO. It’s funny how easy is it to justify spending money on new gadgets, improvements to your home or even lessons to learn a new skill. Yet, when it comes to the most important relationship in your life, many of us shy away from trying to better ourselves. I can’t recommend enough that you spend some time and money making yourself a better husband or wife. Pick up a course on communication, read a good book and don’t be too proud to sign up for a marriage retreat where you can get away and focus on each other deeply. When you consider that you’ve devoted the rest of your life to your spouse and you spend everyday together, it’s easy to see that there’s no better return on your investment than in learning the skills you need to be as happy as possible together. Do yourself a favor and make a commitment today to make your marriage your highest priority (right after God). Devote quality time each day to your spouse, bless your marriage with regular date nights, and do everything you can to be the best husband or wife you can be. Building your dream marriage isn’t easy, but it’s absolutely worth it.